If you live in a dry climate, use heat regularly to style your hair, or dye your hair with chemicals, then your locks may be in need of some TLC. After I moved to the often dry city of Austin, I started using deep conditioning treatments once a week. If your hair is really damaged, you may need to take it one step further by using a set such as Phyto Reparative Shampoo and Reparative Conditioning Treatment. 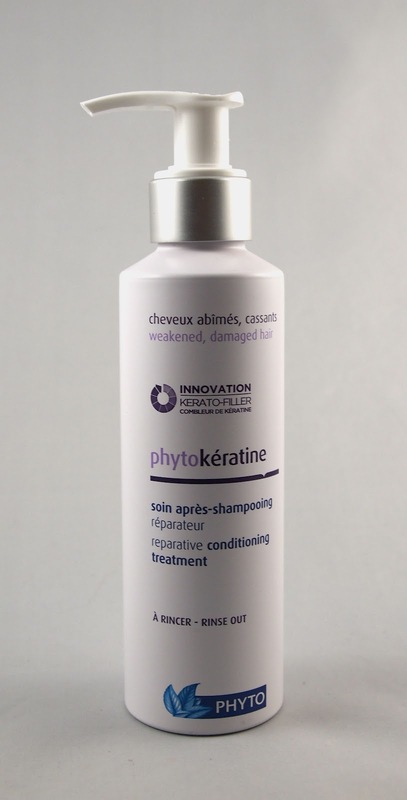 Phyto's Reparative Shampoo and Conditioner are an excellent pair if you're looking for salon quality products for damaged hair. The fragrance is fairly strong and similar to many salon products. However, both the shampoo and conditioner rated a 5 on the EWG Skin Deep database. The fragrance weighs down the rating, but there are also several other ingredients that do as well. If they're looking to sell mostly in the natural market, I'd recommend Phyto considers swapping out ingredients such as cocmidopropyl betaine, sodium lauroyl sarcosinate, ceteareth-20, and methylisothiazolinone. It's also worth noting that both products contain honey derivatives (making them unsuitable for vegans) as well as wheat protein (not gluten free). However, these could likely be easily replaced with a vegan and gluten-free alternative, if Phyto wants to reach out to those markets. At over $24 each, these shampoos and conditioners aren't cheap. While I can't complain about the performance, I'd certainly love to see these products modified to accommodate a broader range of natural consumers. A few simple ingredient replacements could make these items vegan, gluten free, and safer. Regardless, if your hair is damaged, I would recommend Phyto's products over their conventional alternatives. Also available on Amazon.com: Reparative Shampoo and Reparative Conditioning Treatment.